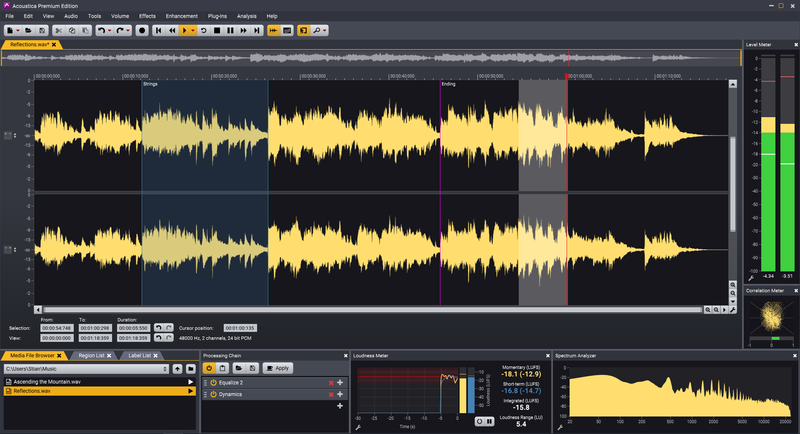 Oslo, October 9th, 2018 – Acon Digital has released version 7.1 of their powerful audio editor Acoustica for Windows and Mac. Acoustica is available in a Premium Edition and a lower cost Standard Edition. The Premium Edition now comes with an extensive collection of VST, VST3, AAX and Audio Unit plug-ins for use in third party host applications. Included are already commercially available plug-ins such as Equalize 2, Verberate and Restoration Suite as well as new plug-ins covering dynamic processing, mastering, effects processing and audio restoration.